On November 4th, Oregonians in Salem will vote to elect a State Representative for District 21. 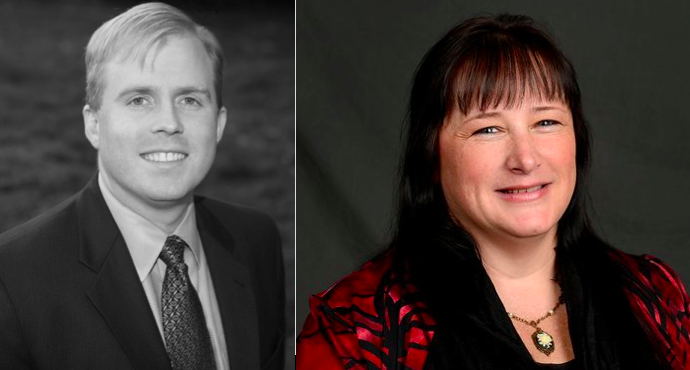 The race features Republican Beverly Wright and Democrat Brian Clem. Each candidate was given equal opportunity to respond to APANO’s questionnaire, to engage more directly with Oregon’s 220,000 Asian and Pacific Islanders. Their responses to 3 questions crafted by APANO members have been unedited and printed in full. APANO makes no candidate endorsements, this information is solely for the purpose of voter education. Wright (R): English Language Learner. Wow what a positive statement! I know we have many programs. However I find the focus of the school district, counties and the State to be focused on finding other ways too build programs for the sake of raising further Federal dollars. But not building programs which actually work for our students. It is very hard to know just how many programs are actually out there. Which ones work and which are agenda driven dummy programs which take in funds but never have available funds. I know it is time to remove the dummy programs and openly build ones which are designed to work and support our students. Parents must be involved. Wright (R): First off, we must remove Obamacare. It has blocked quality doctors financially by making it impossible for them to keep their offices open and able to accept patients for care. The State and Federal governments have become financial bullies. Forcing a doctors office to submit. To become a governmental drone. This does not grant quality care for the People. It restricts needed care. Every human has a right to health care. Every doctor has a right to be paid for his work. They earned it. They spent most of their young life in college. When it is done They must pay off their education. With respect for our doctors deserve better. They have bills too. We need an entirely new and balanced insurance. With competitors in the insurance field. We must never allow our State or Federal government to have their own insurance. That monopoly has seriously damaged our society and caused many deaths. Right now I see no program which works. We must remove the ones which are here. Bid for 3 – 5 different insurance companies. Get the best deal and start all over. Wright (R): We really need to be able to open new businesses. We do not have enough jobs or even careers available. Without job openings we can not employ the viable work force we have now. Yet the numbers are increasing. It has become very difficult for business to open or higher because of the economy and minimum wage increases. The minimum wage has never fixed anything. It is the driving force which has raised the cost of living. We need to build up places for the People to work. Not tear down business. We have many with great new business plans and ideas. Instead of doing this our Gov. Kitzhaber has been buying off Portland business. In the tune of hundreds of millions. Even a million and a half to the paddle boat on the river front in Salem. Why are those funds not being used to put solid business plans to work and open up job opportunities. Pay out right for the viable businesses. Have them higher workers. There by adding to the foundation of the economy.